ACES > News & Features > Microplastics: friends or foes of contaminant transport? Microplastics have potentially no major impact on the transport of some persistent contaminants between aquatic animals and their surroundings, shows a new study by researchers at ACES published recently in the journal PLOS ONE. “Microplastic as an environmental problem have been widely discussed in recent years. 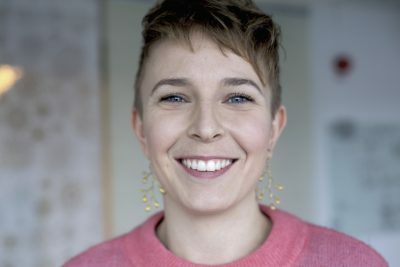 They may affect the environment in different ways, although, much of the public concern about microplastics has focused on its potential to increase uptake of contaminants in animals that eat it,” says Zandra Gerdes, PhD student at ACES and lead author of the study. Experimental studies have shown that contaminants can be transferred from polluted microplastics to animals that feed on them. The amount of contaminant being transported depends on its relative amount bound to microplastics versus that found inside the animal. At the same time, contaminants can also be transported from the animal to the microplastics, which then depends on how “clean” the microplastics are in relation to the animal. Experimental data on the second part of the transport process have been scarce to date. Instead, theoretical models have been used to describe both processes. They have shown that animals in polluted environments take up more contaminants from food and water than they do from microplastics, since microplastics are still a relatively small source. 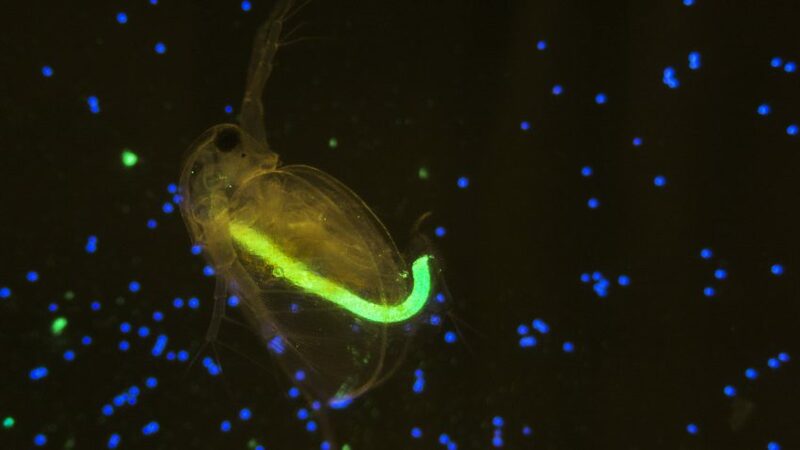 “In this study, we wanted to investigate experimentally the transport of PCBs between microplastics and zooplankton and to see whether microplastics can increase the release of PCBs from the zooplankton. We hope our results will contribute a piece of the puzzle of how this type of contaminants move between animals and microplastics,” says Zandra Gerdes. The results of the study showed that in PCB-contaminated animals exposed to a large amount of non-contaminated microplastics, transport of the total PCB load was not affected, except for a certain type of PCB that had the highest binding capacity to microplastics.